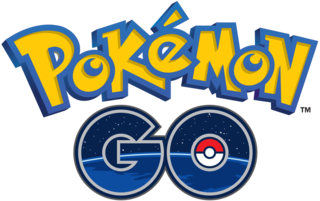 Think Pokémon Go is going to get you out of the house and away from your gadgets? Think again! Don’t let the great outdoors stop you from looking for excuses to sneak a few more Amazon boxes on your front porch. 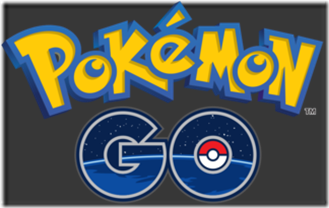 Here are five gadgets to help you in your quest to catch ‘em all! While keeping the Pokémon Go app open all day while searching for Charmander may not make a huge dent in your data plan, thankfully, it is a quick drain on your battery life. Carry around a portable charger, like the Anker PowerCore 13000, which I bought for my husband for Father’s Day, but am the current keeper of now that I am obsessed with actually leaving the comfort of my house in search of new Pokémon. At full power, the Anker PowerCore 13000 charges an iPhone 6s 5 times, a Galaxy S6 3.5 times or an iPad Air 2 once — you know, in case you decide to maybe check a work email now and then. If playing one game isn’t enough, challenge your friends daily to increase their step counts and keep track of all that walking around you’re doing while waiting for your eggs to hatch. Since the pedometer within Pokémon Go tracks distance traveled under 20 miles per hour, you can’t just quickly drive for a few minutes to hatch your 10k egg. Luckily, you can walk, run or bike to get those kilometers in. Using the Fitbit, you can track all these activities, monitor your heart rate, and map your routes using the Fitbit Blaze. Of course, the day before I downloaded Pokémon Go, I accidentally put my Fitbit Zip through the washing machine … twice. So I may be in the market for an upgrade, and the watch seems like a great upgrade! Coming home after a long day of catching Pokémon with some Butterfrees, Beedrills and Scythers is awesome (I swear, Jim, I’m not making these names up!). But, coming home with bug bites from real-life pests can be a pain when you’re exhausted and trying to sleep, but find yourself wide awake scratching your ankles tirelessly. Avoid the not-so-pleasant smell of bug spray and prevent mosquito bites with the harmless and eco-friendly mosquito repellent gadget that runs on one AA 1.5V battery. It’s tiny enough to fit in your bag or clip to your pocket, too. Look, it may seem like a geeky thing to suggest, but according to the great and all-knowing Internet, some of the rare Pokémon come out at night! The sun doesn’t have to go down on your fun if you have some light to help you maneuver around. Plus, the Safety Armbands will help you avoid the ire of drivers who may not see you while you collect more Pokeballs at the Pokestops along your route. Note: These should not take the place of practicing caution while playing Pokémon Go. Remember, you shouldn’t have to go into buildings, onto private property or down dark alleys if there is a Pokémon nearby. In fact, most rewards you receive and places on the map are public property. But, again, always take caution and use good judgment while playing Pokémon Go. Don’t let being away from home keep you from listening to Home Gadget Geeks (or, you know, Classy Little Podcast if you’ve run out of shows on the Average Guy Network). Use that time outdoors wisely and catch up with your favorite podcasts with this headset to keep out ambient noise designed with comfort, water resistance, durability and hygiene in mind. In all honesty, I don’t know earbuds. I use cheap $5 ones from Five Below because I have a tendency to loose them so frequently, but The Wirecutter recommends these, which means my tech-geek husband recommends these, as well. Hope you’re all enjoying your game! And don’t forget sunscreen — that bright thing in the sky we gadget geeks have been avoiding for years is meaner than a Raticate on my pasty fair skin!